The Health Department and Bengaluru Medical College and Research Institute (BMCRI) will be soon launching Teleradiology services facility at the college. 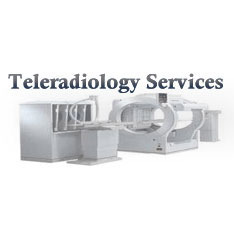 The teleradiology department in the college will now offer a teleconnect all over the state for patients who seek an instant expert connect on their X-rays, ultrasound and CT scan reports. As reported by Express, “This programme will be called ‘E-Kirana’ and to start with all government district hospitals will be linked to the Teleradiology Department. Taluk hospitals and primary health centres will also be linked to the facility, which will allow patients to get expert feedback on X-rays, ultrasound and CT scans within an hour,” said BMCRI Dean Dr P K Devadas. “Optical fibres for the project have already been laid and connectivity to hospitals will be achieved in phases starting from the districts and then taluks. In fact, just a few days ago, the first images were sent from Chikkaballapur. I would like to call the project E-Kirana,” said Dr P K Devadass, Director/Dean, BMCRI. Dr K M Srinivasa Gowda, Chairman, Bangalore Medical College Development Trust (BMCDT), is implied to have said that such a initiative also addresses the situation of shortage of specialists and radiologists. As reported by Deccan Herald, “This teleradiology project will connect all hospitals and primary health centres in the State. X-rays, CT scans or ultrasound images can be read in the BMCRI within a matter of minutes. A dedicated team will be present 24/7 for this purpose. The facility is set to be inaugurated within the next two weeks,” he further said. In April, Minister for Health and Family Welfare U T Khader had spoken about how shortage of radiologists was rendering radiology machines and equipment in government hospitals useless. The announcement of a teleradiology facility was then made.